A man reported by a concerned friend to have harmed himself was caught drink-driving by police. Bogdans Dencuks, 29, of Poulton Street, Kirkham, who works as a packer, pleaded guilty to driving with excess alcohol. He was banned from the road for 12 months, fined £120 with £30 costs and ordered to pay £30 victims’ surcharge. Prosecutor, Adrian Hollamby, said police received a report on February 7, at midnight, from a friend of Dencuks that he had harmed himself. Officers went to Dencuks home and saw him pull up outside at speed in a Ford Fiesta and almost hit a fence. A blood test showed 115 microgrammes of alcohol in his body - 80 is the limit. 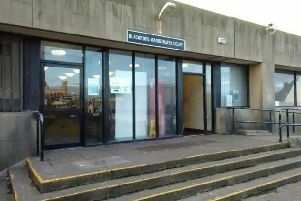 Robert Castle, defending, said his client, who had no previous convictions, had been suffering from mental health problems and a friend had been counselling him. The night of the offence Dencuks had contacted the friend to say he was self harming and the friend contacted the police. Dencuks was under stress and decided to go out in his car to buy some cigarettes. He was now getting counselling from specialists. A pervert who believed he was talking to a 12-year-old girl was caught in a police sting because the child was actually an undercover police officer. Antony Jones, aged 39, of Singleton Street, Blackpool, pleaded guilty to three offences of making an indecent picture of a child, some at the most depraved level. He also admitted attempting to get a 12-year-old girl to engage in sexual activity and attempting to get her to watch a third person engaged in sexual activity. The offences took place between June 2016 and July 2017 at Blackpool. Leisa Stuart, defending, said her client had no previous convictions. Jones was bailed to appear at Preston Crown Court for sentence on May 6 by District Judge Jane Goodwin. A man who ran up behind another man and hit him on the head with a half-brick in a Blackpool Street one afternoon has been jailed. Michael Buckley claimed his victim had threatened him with a knife and that he wanted to get him first. Buckley, 27, who gave a care of address of Dinmore Avenue, Grange Park, pleaded guilty to assault causing actual bodily harm. He was jailed for six months, ordered to pay £85 costs with £115 victims’ surcharge and put on a 12 months restraining order which bans him from contacting the victim. Prosecutor, Adrian Hollamby, told magistrates the victim said he was on Church Street when Buckley and another man asked him if he had some change or a cigarette, on March 28 at 2.30pm. He said no and walked on, then felt a whack on his head. The victim chased Buckley who ran into a shop and the police were alerted. The victim had the two to three-inch gash on his head glued at a medical centre. the offence the man had asked him and his friend to buy some of the drug Spice from him and then he pulled out a knife when they refused. A Blackpool man attacked his own mother. Jordan Potter, 22, pulled her hair and as she tried to keep him out of her house she suffered a cut thumb when glass was broken. Potter had thrown bricks at glass windows in the door of the property in Falkland Avenue, Blackpool. Potter pleaded guilty to assault and to criminal damage on the door. Sarah Perkins, prosecuting, said that police were called to the incident in the early hours of the morning. Jon Lee, defending, told District Judge Goodwin sitting at Blackpool Magistrates Court that Potter had suffered a severe brain injury after being attacked in the street.